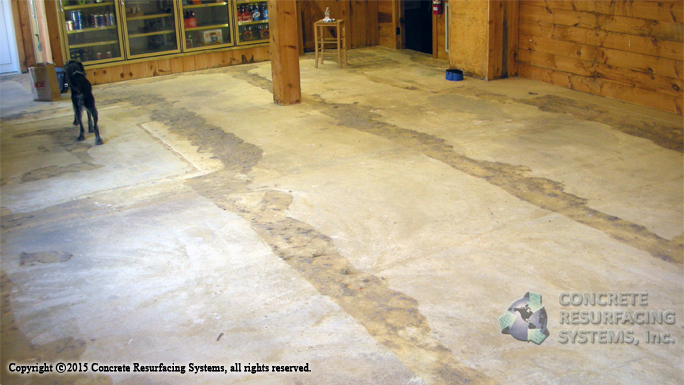 This liquor store in Marshfield, MA had worn dirty carpet covering up a bare concrete floor. It was time for a change, and the owner wanted a bright, easy to clean floor. 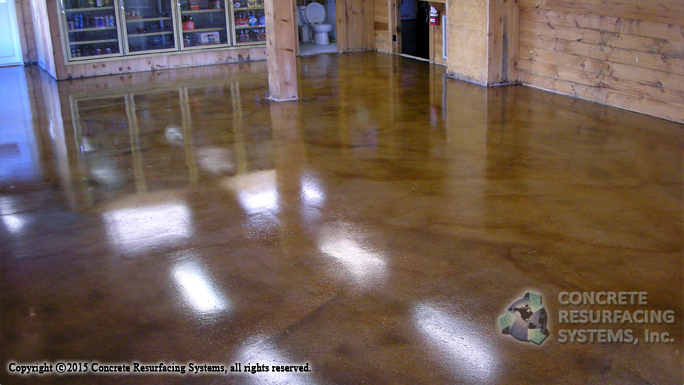 After discussing several options for refinishing the floor and the different types of decorative concrete resurfacing available, he chose Acid Stained Concrete. Concrete Resurfacing Systems used a concrete diamond grinder to remove carpet glue. We then applied an acid stain and finished the floor with an anti-slip clear epoxy coating. The store now has a light reflecting, easy to clean floor.